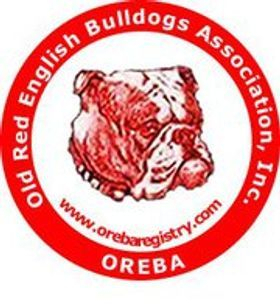 Old Red English Bulldogs Association Inc.
Old Red English Bulldogs Association, Inc.
We at OREBA Inc. are working to expose false Animal Rights manipulators and perpetrators who prey on innocent animal lovers and who seek to exterminate certain canine breeds. We need your help to prevent criminalization and victimization of those who love all breeds. Your tax deductible donations will help keep beloved breeds alive. Send all donations to PO Box 1680 Moncks Corner SC 29461, Your support may protect you from becoming the next victim of entrapment and defamation of character. We are here to help breeders and other dog lovers to safely enjoy their breeds and understand the deceitful tactics of false Animal Rights advocates who seek personal fame and gain rather than the true safety of animals. We need your help to save a life. We need your help to stop the lies of false Animal Rights entities who seek to take away your constitutional rights. These are some of the false advocates, BSL, HSUS, PETA, ISPEAKInc and there are others. click here Entity Information OREBA Inc is now Non Profit Business with NY Department of State Division Of Corporations. 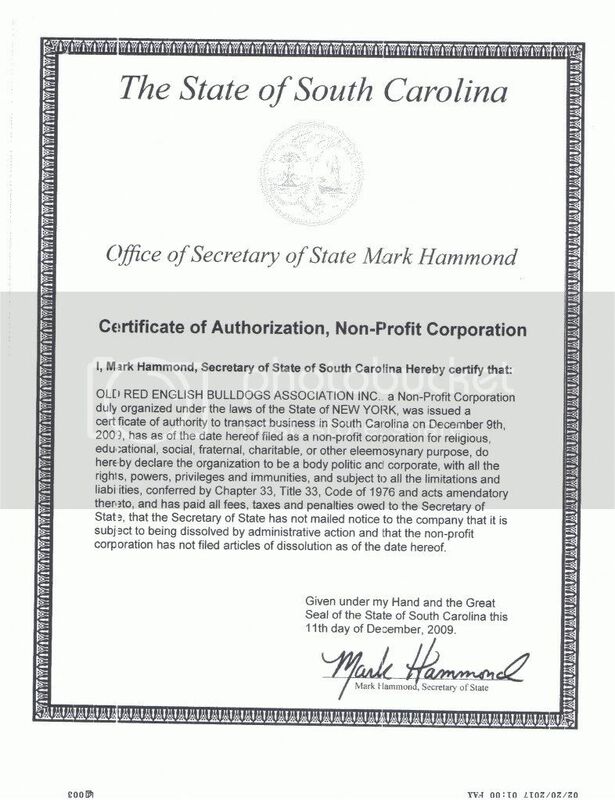 Non Profit Business with SC Secretary Of State Mark Hammond's Office.